On the night of this Thursday April 5th, the Convention Center in Costa Rica was opened, a 15,600 square meter venue, with a capacity to hold up to 4,600 people in all its rooms. The National Center for Congresses and Conventions (CNCC), located on a 10-hectare site, had its opening in a special event that included the participation of the President of the Republic, Luis Guillermo Solis, and the Minister of Tourism, Mauricio Ventura. President Solis said that the concretion of the Center is a sample of how to defeat skepticism and place the opportunity at the center of the efforts. In addition, he spoke of the fact that new challenges will come to achieve the best benefit of convention tourism, and that at that stage the work of the private sector is fundamental. This project is part of the ICT's impulse for the country to exploit its potential in the meetings tourism market, which moves $ 11,500 million worldwide. 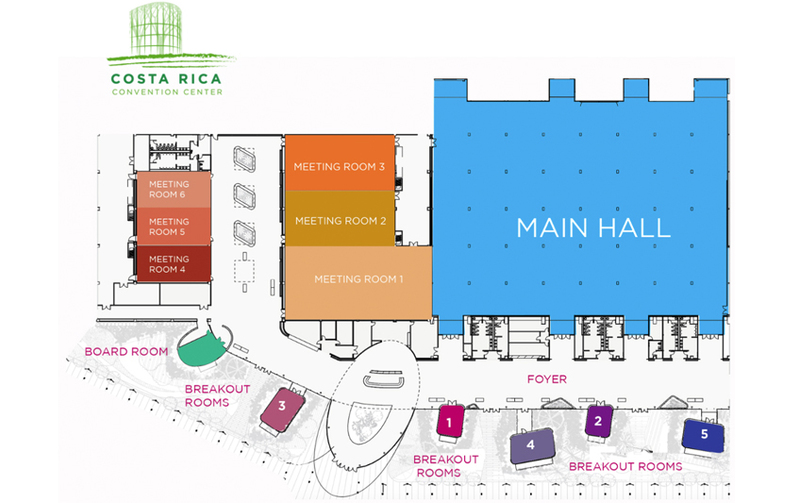 The place has wide corridors, auditoriums and service areas of this property, owned by the Costa Rican Tourism Institute, whose cost was around $ 35 million. 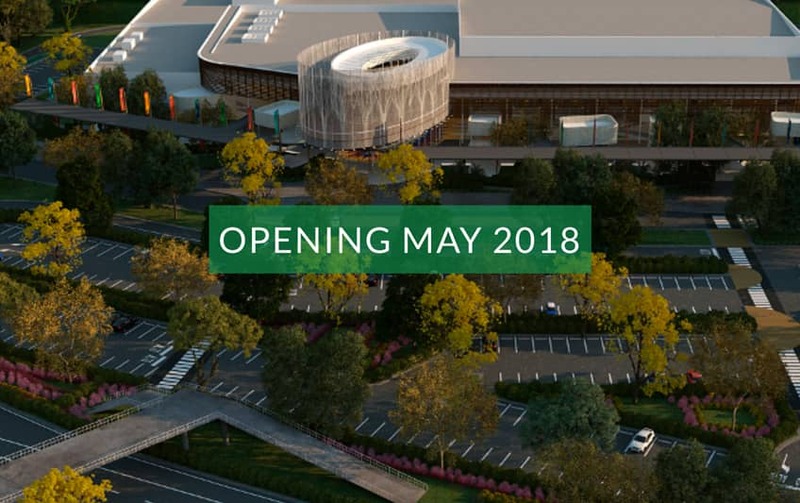 These new facilities are expected to be a catapult for the country towards the world market of congresses and conventions, whose value is estimated at $ 11,500 million annually. The tourist that visit the country for meetings has a higher purchasing power and, according to the ICT data, spends 4 to 5 times more than an average leisure tourist. For the time being, more than 80 congresses have been confirmed to be held in the new building, between 2017 and 2021, which according to the ICT will represent an economic impact of around $ 250 million for Costa Rica. And each day the number continues to grow. The country has advanced 10 positions in the world ranking of meetings tourism, carried out by the International Congress and Convention Association (ICCA), moving from position 63 to place 53 among 200 countries and only one position in Panama, which has many years of advantage. The president said that the Center is a pride for the country and stressed the importance of diversifying the tourism offer of Costa Rica. Mauricio Ventura, head of ICT, said that this type of tourism benefits the country and goes beyond the events that will take place here. The Convention Center has a construction area of 15,600 square meters, with a sustainable design, LED lighting and solar panels for energy owned by the ESPH. For its construction, 12,080 cubic meters of concrete and 74 tons of steel were used. The location of the convention center is classified as strategic for being only 8 kilometers from Juan Santamaria International Airport and 10 kilometers from San Jose downtown. The building pays homage to the pre-Columbian spheres of the country, and even has five of the original spheres and has a lot of different details allusive to the nature of the country. Also, it is decorated with different sculptures made by the national and worldwide recognized artist, Jorge Jiménez Deredia. After years of waiting, the fact that Costa Rica finally inaugurated the Convention Center represents the showcase to show the country as a profitable destination in the meetings industry. Luis Guillermo Solís Rivera, President of the Republic highlighted that: "During this administration, we gave tourism the priority it deserves and because of that, we managed to make the Convention Center a reality, a postponed project that will undoubtedly boost the tourism industry, generating benefits throughout the national territory". For his part, Mauricio Ventura, Minister of Tourism said that the Convention Center is the spearhead for the projection of the country in meeting tourism, where success depends on the quality of services offered, continuity and monitoring that is offered to the strategy made to position ourselves in this profitable industry and the joint work that is done with the private sector. "When I assumed the commitment with my country to lead the Ministry of Tourism almost 3 years ago, the construction of the Convention Center was the first goal we set for ourselves with the President. We silenced many “NOs” on the road with the right attitude, with determination, dedication and overcoming the barriers of skepticism. After years of waiting, today Costa Rica has a first world building", said Ventura. The Costa Rican Tourism Board developed an aggressive strategy to compete in the industry of meetings. That is why the institution has been participating in specialized tourism fairs for almost three years, and also developed a promotional plan to enter this niche with the support of world-class expert advisers. One of the aspects to be highlighted has been the strengthening of the Convention Bureau, which has become a fundamental actor in attracting congresses to Costa Rica. Álvaro Arguedas, President of Costa Rica Convention Bureau stated that: "The inauguration of the Convention Center of Costa Rica represents the crystallization of a yearning for the tourism sector that dates back a long time and is a great achievement emanating from the cooperation between the public and the private sectors of our country. At the same time, it represents a great challenge because the support of the public sector, especially the ICT, will be vital for those of us who work in the tourism of meetings to be able to see this place full of important world events." In addition, historically the ICT had focused on the holiday segment, so the Meeting Tourism Division was created, made up of professionals who have specialized to serve this important industry. In the same way, the Program of Ambassadors in Meeting Tourism of Costa Rica was launched, in order to involve institutions and associations in attracting global events to the country. This program recently celebrated its first anniversary. According to Ventura, thanks to this strategy, the country began to be recognized in the industry. Also, Costa Rica received the most important award in the region (Latin American Forum) after promoting the meetings tourism. "Our tourism is more strengthened, because at the end of the road we show that in the public sector projects can be taken, completed in time, developed with quality and with a business vision that supports it", concluded Ventura. Maximum capacity: 4600 people in plenary. Cost: $ 35 million. Own financing. Location: 8 kilometers from the Juan Santamaria International Airport and 10 km from the center of San Jose, with access from the General Cañas Highway. Sustainable design: Architecture and environment in harmony with the country image, reflective roofs, reuse of rainwater, taps with automatic closing, high-tech air conditioning systems, sunshades that mitigate solar heating, internal lighting by means of LED systems and external with solar panels, internal and external arborization with native species, movement sensors for turning lights on and off, use of waste treatment plants, etc. Services: Area for exhibitions, lobbies, services, convention rooms, parking areas for up to 1000 vehicles, area for outdoor exhibitions and for provisioning (loading, unloading and wineries), etc. Administrative Company: Grupo Heroica - Volio & Trejos.